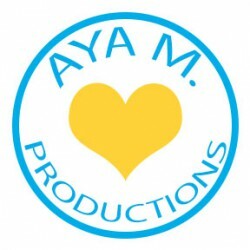 This is the Booklikes profile to my blog AYA M. Productions. Note: I received a finished copy of this title in exchange for my honest review. My review consists of my own feelings and opinions toward the book and was not affected by this. 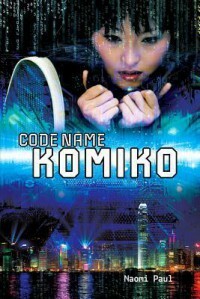 Code Name Komiko by Naomi Paul was an interesting YA mystery. It took me a while to get into the story mainly because it took me a while to like the main character, Lian. It also missed an element, which I usually need in a plot in order to enjoy it. The mystery itself though was quite interesting. If you’re looking to diversify your reading, Code Name Komiko definitely fits the bill. Set in Hong Kong, Code Name Komiko is made of predominantly Asian characters, along with some stereotyping between the characters. That’s what annoyed me the most in the beginning. Lian hated being judged by Matt, the American transfer student, and yet she often judged others herself. I know it’s a realistic trait. One I probably do myself. However, it really annoyed me for some reason, and I had difficultly liking Lian. The mystery itself was quite interesting even though it was a bit unrealistic. Lian is investigating the Harrison Corporation after discovering a dead body. Aside from that, there’s also the huge mystery as to who the members of 06/04 are, the online crime investigating group Lian’s part of. Anonymity is prided in the online group. So I found myself second guessing every character’s real identity. For me, personally, the story lacked the romantic element, which I generally need in the books I read. I feel like there were opportunities to have it, but nothing panned out. The story basically lacked in that aspect. It’s probably not as big of an issue for others, but for some reason I just don’t enjoy stories as much myself without it. It didn’t even have to be a big aspect of the story. A minor romantic element would have been good enough for me. Anyways, Code Name Komiko by Naomi Paul was an interesting read. The mystery was compelling, but I think I would have enjoyed it more if it had the romantic element I generally need in my reads. Between the romance and my difficulty liking Lian, the story all-in-all fell short for me. I did like reading a book with predominantly Asian characters for a change though, which you don’t see much in YA reads. So if you’re looking for a YA mystery with a bit more diversity compared to the typical YA reads, I’d suggest checking out Code Name Komiko. Hopefully the lack of romance doesn’t affect you as much as it did me.